In today’s modern and hectic lifestyles, the daunting prospect of relocation can add more than its fair share of additional stress. Whether you’re a home owner or a student in rented accommodation, moving furniture such as that prized flat screen TV or large comfortable three piece sofa can often prove a challenging task. Enter ‘Man with a Van’. However with so many of them around these days, just where can you find the very best of the rest? You may not be surprised to know that in today’s connected environment, the internet is always a good place to start (I mean hey your online reading this right now anyway!). Regardless of your preferred choice of search engine, the internet is ideal for not only seeking out some of the more reputable Man with a Van companies, but also those closest to your present location. You may decide to try the ‘old fashioned approach’ and ask a friend or family member – who hasn’t used this type of service at some point? It is however important not to rush these things and furthermore, not to simply choose the cheapest small removals service. Sometimes a great deal isn’t necessarily a ‘great deal’ so it is important to ensure that you spend a little time researching whether or not your Man with a Van is legally qualified to do the service they have set out to do. Accidents can happen, so make sure your possessions are insured during the time they are in transit too. Once you’re happy with your choice and have arranged the necessary collection time, it is important that you sort furnishings and boxes before the removal company arrive. Remember, many work by the hour so if you are a well organised individual (and even willing to muck in with the heavy lifting), you will get more for your money with careful planning. You may also wish to consider having a clear out of all those things you don’t use anymore, which have been filling up your cupboards for years (remember the lighter you can travel the better). 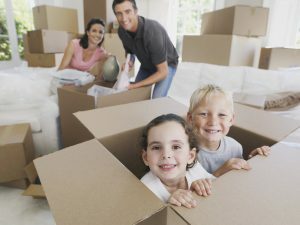 Once you are happy with what you are taking to your new home, it is probably a good idea to carefully mark all those packedboxes (especially fragile ones) with their contents and where you wish them to be unpacked. For example you may want all the kitchen things unpacked first so you can get the kettle on and pour a nice cuppa tea for you and your hardworking removal team! To pick up a small and comfortable van for your move might be just the perfect option. It`s not always necessary to rent a big van in order to make sure that all your possessions, bags and boxes with furnishings will fit in the van. 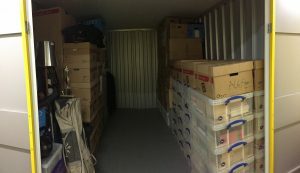 It`s enough to make the perfect calculations and to do everything in advance, because if you hurry in the last moment of the moving day, you can miss something during the loading of the van and thus overwhelm the entire day. The advantages of the small vans are numerous. First, they provide a much cheaper opt when it comes to moving house at short distances, compared to the big expensive vans that often have a driver from the company. The small vans are recommended for another unmatched advantage – they are the best opt when you just barely can`t fit all the boxes and bags in your normal car. Then, the small van turns very handy for a quick relocation with only a dozen bags and boxes. You are the driver too and you choose the route to the new location. That`s why you are responsible for the safety of your belongings, as well as arrangement and organization in the cargo area of the van. The small vans offer an impeccable flexibility, thanks to their rear seats that can easily drop to provide an even bigger cargo space for your belongings. – Easy driving through the big cities with narrow streets or with a heavy traffic in the Downtowns. It might be a nightmare to stop a giant removal van along the street for about an hour to unload your possessions. However, the parking space is usually not an issue with a small moving van. 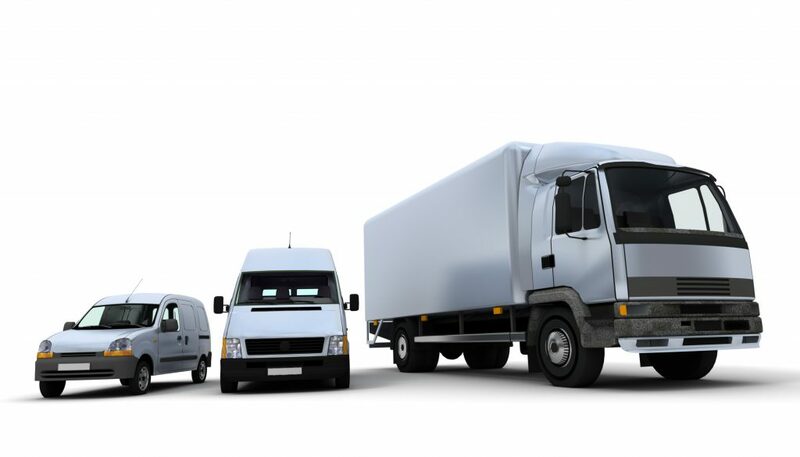 – Quite less fuel is required for the smaller van, compared to the powerful big vans or with the moving trucks. They may have a greater fuel economy advantage, but the difference in the fuel consumption is enormous. That`s why hiring a big van is not a great opt when moving on a budged. – The small vans offer a variety of amenities just like your normal car. From air-con to navigation system and sliding side doors – you can always find the perfect van for your specific relocation. Money Saving – Moving Unwanted Furniture. Moving unwanted furniture is by no means an easy task. You just can’t call your friends and neighbors and expect everything to happen easily. You have to make a strategy in advance to make sure that you don’t include something precious in the list of unwanted furniture. The process of moving begins with making a list of unwanted furniture that will go away. This means checking every chair, bed, and table. This may seem like a difficult process but with proper strategy and effective planning, you can ensure a smooth moving useless furniture. But be ready to put in a little hard work beforehand. The best way is to find a professional as “TheManVan” to moving unwanted furniture. 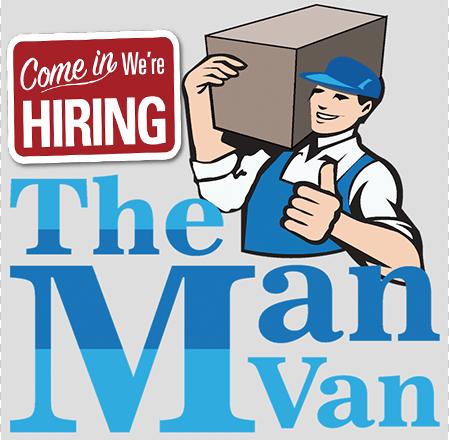 The Man Van provide service to move unwanted furniture. They will help you pack everything, bring a truck and do all the other things at a very reasonable price check they prices list service for Moving unwanted Furniture. So with little patience and professional help, you can get the job done easily. Now let us talk about some of the secrets employed by these companies to help you get rid of useless furniture. It is important to choose an area in your home where you can place your unwanted furniture before moving. You just can’t go to every corner of your house to collect every piece of unwanted furniture at a moment’s notice. Another thing to consider is whether you have disabled, elderly people or kids in the home. The place has to be secure enough so that entry can be safe and no furniture can be tripped over or fall over a person. The first step is to start with big furniture pieces. The professional companies often come with trucks and cargo containers, so the easiest way to pack is by putting the heaviest and largest furniture such as beds and tables in first place. The most important thing to consider during this time of the move is to consider whether someone in your locality is interested in buying your unwanted furniture. This will not only reduce your burden but also make you earn a little money. Now it is time to consider chairs, tables and stools. They can be placed easily behind the heaviest furniture or you can pack them in the bundles and put them in a corner of the truck. Furniture with glass should be packed carefully with thermocol and doctor tape. You can also wrap the newspapers and clothes around the corners to prevent them from scratching. Letting go of your favorite chair or your grandfather’s oak table is something you must be ready for. Try to be strong with your decisions and remember that these things are no longer useful as they are just pieces of wood. The process should not have your tears come out but rather help you look forward in buying new furniture. During the process, remember to remove every unwanted furniture from your house as it will cost you a lot to call the professionals again and again. Moving unwanted furniture can become an excellent way to donate something to your favorite charity. So thinking ahead and being strategic can help moving unwanted furniture a lot cheaper and simpler. Moving from one place to another is stressful not only for you but for your pet too. Your best friend will be so nervous that you have to be very careful throughout the moving day and some weeks before. No matter what kind of pet you own, you must take care of it so as not to feel lost at the new place. There are many times where pets were escaping during the move and being in an unknown area they can’t find their way back to their new home. Here it is a checklist that will help you cope with the removal together with your best friend. The things that will help your pet with the moving house are their toys and their favorite blanket or bed. Once you’ve arrived in your new home try to make a spot that looks a lot like their old place in your previous house. Put their favorite toys there, don’t bother borrowing new ones. Their bed or blanket will help for the new start as well. You have to take care and look for the state regulations if you’re moving some place unfamiliar to you. Go with your pet to their veterinarian and make sure its health is in good condition. You may ask about some recommendation for their colleagues to be the new vet of your pet. Get your dog a health certificate – you will find the proper forms at your veterinarian cabinet. The man with a van is outside your house with your entire luggage and now is the time when you have to leave your old place. This is something that won’t miss only to you, but to your pet as well. Try to not be upset during the transportation. The animals can feel our emotions especially when they live with us from their very beginning of life. Make sure you have some treats in your pocket and every once in a while give some reward to your loved one for being a good traveler during your journey. Avoid giving food to your pet a few hours before the transportations so as not to have problems with nausea. While relocating, the biggest issue is to get some professional help. Removal is not something that one can manage alone easily. If you are doing it alone then you need to put in a lot of efforts as well as you need a lot of time as well. It is always advised that if you can afford getting some professional help for this purpose then you must always go for it. It will really make things easier for you. They can help you in every matter that you need to deal with. Also, you do not have all the tools and equipment that is needed for performing the removals. The professional help will also make the process safer as they are also going to protect your belongings. You will not have to stay bothered about the safety of the stuff and will not have to keep an eye over it. When you are looking for any service then your major concerns must be reliability, security and affordability. If you find all these attributes in any company or professionals then your entire process will be completely smooth and stress free. Obviously, everyone would love to have such an easy experience. One of the options for such a trustworthy service providers can be to hire some man with a van service. But the issue is that it is not as easy to find some company as you think. You need to think and research a lot so as to make a good decision. Obviously, you need to know properly that to whom you are going to give the responsibility of your possessions and valuables. The research process must be conducted with full responsibility. You must get some information about searching such a service from some experienced resource. The information can also help you in saving your money. The first and the most useful tip is that if you have to move a small home or you only have to move a few things then hiring a man with a van is the best possible solution for you. These services are very convenient for small moves and you can easily estimate your budget. Obviously, if you are going to hire a big company then there cost will be higher. The cost of such services is precise as compared to the costs of big companies. When you only have to move few items or a small house then there is no point left for hiring a big company and spending more. Always try to choose the man with van service that falls within your area. Choosing the local service will also shrink your cost to a bit and remember every bit matters. Hiring a service that is far away from your location will make you pay much. Just search for the companies or services within your area and then choose the best amongst them. After shortlisting few services, you must ask for the free quote for the service by describing them all the services that you want them to perform for you. Do not forget going through the reviews regarding your selected man and van services. Do review their ratings and reviews that will be available online for sure. These days customers do share their reviews for the help of other customers. It will really help you in narrowing down your research. Always look for the quality of the services and do not avail the cheapest service available. The low cost can make you pay more at the end so select carefully. Best advice to hire a man with a van in London, you’ll get it cheaper ! When contemplating hiring a van for removal services in the UK, there are a number of factors to consider. If you are too busy or hate moving, you can hire a removal company to oversee the moving process including packaging and loading of all your belongings. Alternatively, you can hire a van and man service, which is not only more affordable but also have several benefits. In this arrangement, a removable service company will provide you with a van and along with it a helper to load your goods onto the van and will also be there to unload them at your new location. Often, the helper also doubles up as the van driver, somebody who knows best the capacity and specifications of the van you hire. Among other things, the man knows the fuel consumption and turning abilities of the van. In this regard, he knows how to arrange your belongings – how to center the weight when loading. To affect this, you can search on the Internet the numerous companies offering removable services. For the benefit of costs, you can zero on the removable companies around your current or those near your future address. Always take everything the companies say they offer with a pinch of salt. It pays to do some thorough research on any removal company that you think suits your specific needs. Some entice prospective clients by offering suspect competitive prices to beat their competition. Next is to physically visit the companies to get first-hand information about their purported services. Ask for quotations and any additional services being offered for comparison. Settle for reputable and high-quality removal companies offering genuine services. Such companies are well established and have been in the removal business for a number of years. In addition, they offer different services to ease your moving process. They also manage the entire moving process to ascertain that everything goes with perfection and that your items and packages are not lost or damaged. Additional services include free pick-up and drop off, clean up can be an added extra which is very beneficial to some, for example if your closest van and man hire is east London, but you live in South east London than free drop off will save you a lot of effort and time. Other additional services like road assistance can also be vital in the case of accidents or breakdown. To be of the safer side, it’s advisable to get an insurance policy. Accidents do happen even with top notch removal company. Just imagine budgeting for another 60-inch plasma screen TV is it got damaged from an accident. Once this is done, plan ahead and, if possible, set your moving time on the off-peak time of the day, possibly at night or in the wee hours before everyone is around and about. If time is on your side, you can arrange your moving day to coincide with non peak season of the year when business in low on their side. You are likely to get even a better deal. Furthermore, you will feel more confident and stress-free that you have adequately prepared well in advance. Before the actual day, confirm that all your possessions are properly packed and all the boxes correctly labeled to make your unpacking much easier and to avoid disorganization at your new place. If you arrive at your new address at night, post-pone unloading your belongings until day-break. This minimizes breakages and damages of delicate items. A removal company is often something that most people hire when they are moving home and yet we wonder why people don’t hire them more often. Although it may seem like the one thing to be able to sort out a professional company, a lot of people underestimate it’s much more affordable cousin, which is the man with the van. 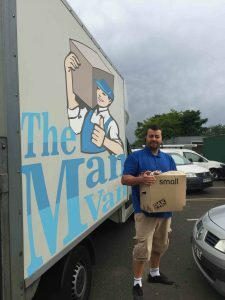 Typically used for smaller jobs, a man with a van is fantastic for smaller moves, be it an office removal or a house move, when you don’t have many things to move. A removal company can often bring a truck which can be quite costly, especially if you know you are paying extra for fuel and you have a limited amount of things that you need to move over. A man with a van service is very reliable. Because they serve much shorter destinations as well as small loads, they have learned the routes of the area, navigating them without having much issue. It can be tempting to want to do everything by yourself, however when you hire professional removal company help—you will find that moving house is a lot easier. Hiring one is rather simple. All you need to do is pick up the phone and call them to arrange a time and find out how much they charge. It takes the pressure off your head as well as you knowing that a professional company is taking care of everything for you. Remember that is it rather challenging to undertake a relocation by yourself without knowing everything and all the details. It is tempting to go ahead and do it all by yourself, however it would be the best investment that you have given yourself and your family. Think of all the stress you have already encountered and how much more stress it would be, to try and fit everything into your van by yourself. Relocations are already difficult enough, trying to navigate the tricky landscape of pricing and staying sane amidst getting all the necessary work done. A removal company is a lifesaver, especially when you just want someone to take off the heavy load from your shoulders. So what should you do, if you cannot afford a man with van service, standardly? Sometimes, it isn’t always simple if you are on a budget, so the best solution to this is to go to your local library as well as your community centre to try and figure out how you are able to hire a removal service without the hefty price tag? Perhaps you can hire the van without the man and drive it yourself, only paying the rental for the van. Remember that a removal van takes care of all your stuff when it is boxed up, as opposed to you taking it over in your car. Most people fear change and for good reason. As creatures of habit, change can spell disaster and the unknown brings anxiety. When moving home or apartment to another, change can be difficult. Learning how to cope with the stress caused by change can help you to lead a more happy and fulfilled life and it will assist in getting through the tough times. Using these 4 methods, you can better cope with change in your life. Whether it is because you are moving to a new city, relationship, or professional stress, these mechanisms can help in all situations. 1. Journaling – Often the negative emotions and feelings that we have inside are only waiting to be organized and expressed. When fear or anxiety starts to overpower you and it seems that nothing positive is being done, it might be time to start doing some journaling. By journaling, you will be able to express your emotions and, in most cases, realize afterwards that they are not really worth fretting about. This is probably one of the best mechanisms that you can use to overcome the fears associated with change. 2. Detach from technology – There is a false sense of connection that comes with technology. Our smart phones and computers can help us communicate with others and do many positive things, but in general it also brings a lot of stress and anxiety. The key is to balance the positive with the negative of technology. To do that, it’s nice to take routine times away from all technology. It might be a good idea to start your morning without the computer or phone and the last hour or so before bed. Ideally, you can spend some time in nature while exercising as well. 3. Surrender to the worst scenario – When moving or changing in any way, there are a lot of unknowns. Most of the time the human mind fills in unknowns with the worst possible scenario and that creates anxiety. Instead, we can surrender to the worst possible scenario ahead of time. That way anything better is a blessing and a gift. That isn’t to say you should expect the worst to happen. Just surrender to the possibility that it will – and you will survive and learn from it. 4. Seek emotional support – Men and women find emotional support to seem “weak”, but it’s actually one of the strongest things we can do as humans. If we internalize our fears and emotions and they become part of us, they usually turn into insecurities that hamper our development. Instead, we can seek the support of others to have a different (and often better) perspective on the situation that is free from emotions. It isn’t always easy to deal with change, but most of the time it is necessary. If you find that you are moving and struggling with the anxiety and stress that comes with it, perhaps you should find the practice that works best for you. How Can You Determine the Most Reputable Man with Van Chigwell Essex? A home or office removal process is always full of hassles. This is obvious, though it might be unavoidable. There are times when homeowners have to move into a new house, while they have no time in managing those hassles. Especially in a big city like Chigwell, Essex, there is always a high demand of Man with Van Chigwell Essex. Most of them can handle everything that relates to a removal process for both residential and commercial purposes. Hiring a man with van Chigwell in Essex is a good option for many homeowners or company owners. The reason is clear, in which they are already too busy with their daily activities or jobs. 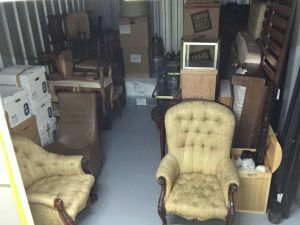 They prefer to spend some money to hire this removal service, instead of facing the hassles in packing, transporting the goods into the truck and reloading them, before arranging each item into the new place. It is such an endless and tiring process that may not be accomplished for months. The service of a professional man with van is very helpful, especially the ones, which have been in this business for years, or decades. Most of them have maintained the highest standard quality of the overall removal process, so clients don’t have to waste their valuable time and energy. Reputable companies can handle each process that causes some difficulties for clients like wrapping, packing, and loading them into the truck before finally unloading them. Clients can also ensure that the highly skilled journeymen can disassemble some equipment before they assemble them again. This is especially for fragile items, which can be easily broken. Clients get the full refund, whenever there is a damaged or broken goods, though it rarely happens. While clients can count on a hassle free service of a professional the man with the van, they should also make sure that the service covers lots of areas. Some man with van Chigwell Essex companies cover removals throughout Chigwell, Brentwood, Loughton, Kent, Epping Forest, Harlow, and the nearby districts. Insured services of the man with the van are crucial, because the removal process relates to the safety and security of the transported goods. The man with the van company has to provide the refund warranty, just in case there are broken or lost goods. Only professional removal companies can ensure this service, so it should be the major concern for all clients. What to say about Battersea. Battersea is the best place to move to in 2016, its what a local man and a van has to say. This is because it is very close to Central London. Till now, travel was an issue. But in 2020, Northern Line will be arriving there making travelling much easier. Next, even the US embassy will be opening there. This is why people feel that Battersea is the best place to live and work in. 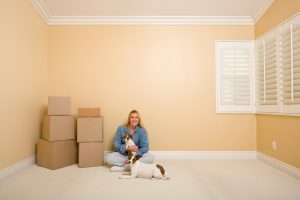 In case you are planning to pack and move there, you can make use of a removal van or any cheap man and van that you can find local. 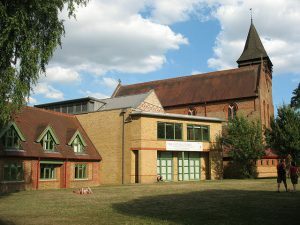 It is located close to Fulham and Chelsea. Next, even the Clapham junction is located in this area, it why i love it. Battersea is becoming popular mainly because of its good schools and lovely parks. Next, its Victorian architecture is attracting various A-listers to moving there. In addition to the joy of riverside living, people enjoy living with this small and friendly community. This place has a rich history. You can still see the remnants of the Industrial Revolution over there through the various factories as well as housing estates which were set up there during the Industrial Revolution. If you are thinking of moving to Battersea, you would be impressed with its connectivity. There are ample buses connecting it to all parts of London. It is walking distance from Chelsea and Fulham. The train stations Battersea Park as well as Queenstown Road are quite nearby. You can make use of any removal van for moving to Battersea. There are a variety of rental options there. These include Victorian mansions, terraces, converted schools. In case you want, there are modern buildings of steel and glass too. So no matter what your requirements are, these can easily be met here. The Northcote Road is the main shopping area here. It has a complete shop dedicated to honey only. It has everything related to honey. This would include bottles and jars full of honey, books on bee-keeping, beeswax, candles and cosmetics made of this stuff and so on. Basically anything you can think of about honey, will be available here. The Northcote Road has a unique antique market too. There are over 30 shops dealing in antiques over here. You can find a treasure of antiques here. These include Victorian mirrors, teapots, antique furniture, kitchenware and so on. This is a market where you can get attractive deals. In addition, these shops are open seven days a week.